After getting up at 5:30 am to watch Tottenham beat Newcastle by the score of 2 to 0, Jack and Jason took off on a multiple day baseball and Disneyland road trip. 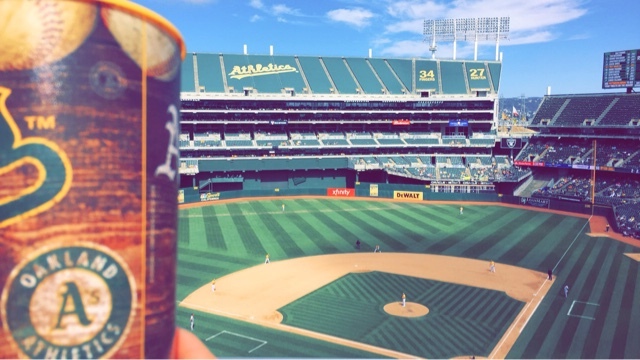 The first stop was Oakland Coliseum. They saw the Baltimore Orioles play the Oakland Athletics. Matt Chapman hit a tie breaking three-run homer in a five-run fourth inning. The Athletics overcame an early two-run deficit to win by the score of 9 to 3. I had to laugh; looking at the box score, I didn't recognize a A's single player!?! After the game, they headed to Southern California. They spent the night at Drew's Mirror Wall Studio. On Monday, they are heading to San Diego to see the Padres and Phillies at Petco Park.